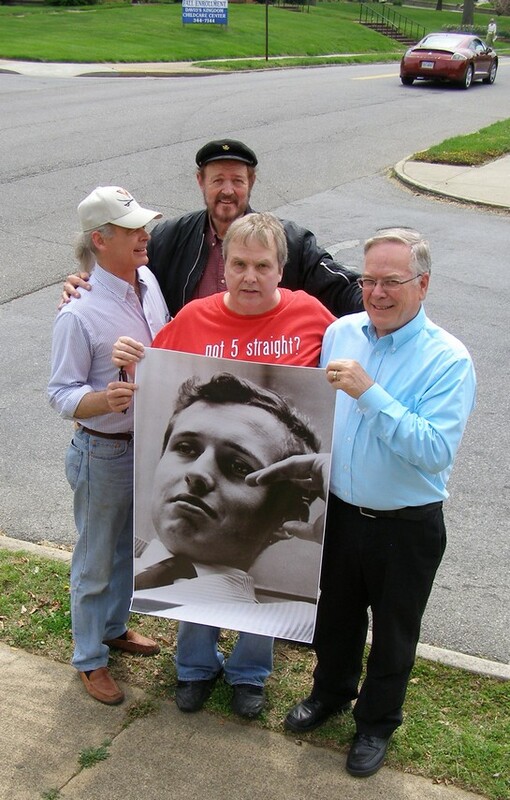 More photos from the 2012 memorial to Boom Boom Brannigan, courtesy of Jack Curtiss. 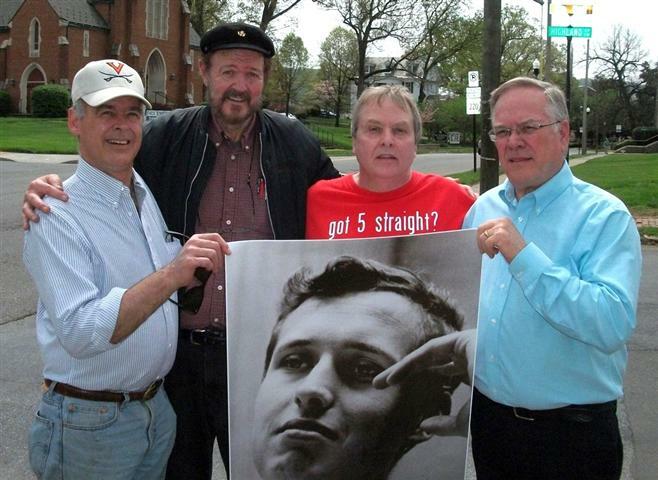 Left to right: John Andrews, Jack Curtiss, Pat Garrett and Steve Nelson at the intersection where the accident took place. 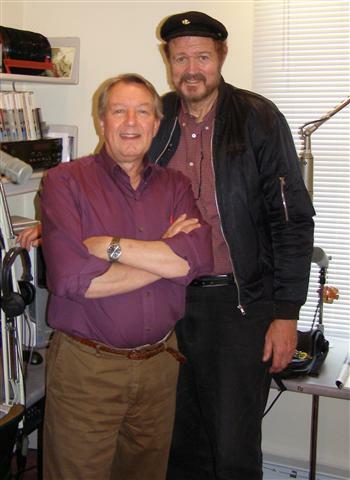 Longtime WROV radio personality Larry Bly, who could not make the curbside gathering due to a prior commitment, in the studio with Jack. 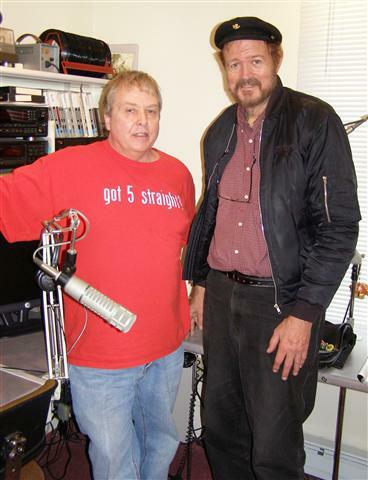 Pat Garrett and Jack Curtiss in the studio. 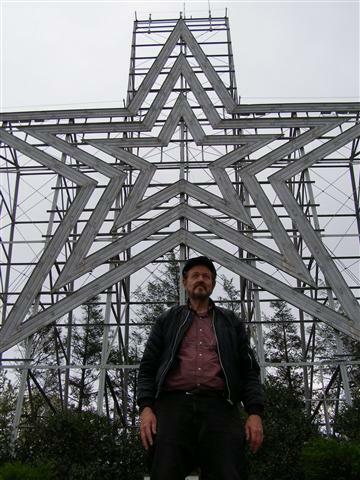 Roanoke has been known as the “Star City of the South” since 1949 when a 100 foot neon-illuminated star was erected on Mill Mountain, overlooking the city. Jack paid a visit. 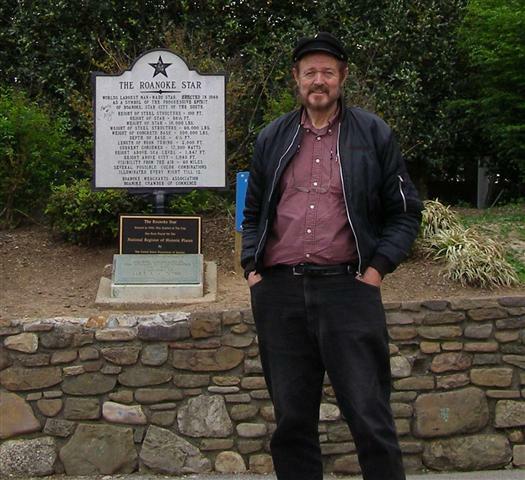 Return to Boom Boom Brannigan's biography.